Product categories of Start-up Battery Protector, we are specialized manufacturers from China, Start-up Battery Protector, Start-up Solar Battery Protector suppliers/factory, wholesale high-quality products of Start Up Battery Regenerator R & D and manufacturing, we have the perfect after-sales service and technical support. Look forward to your cooperation! The start-up battery is the soul of your vehicle. It starts the Engine, and generates the energy necessary for the operation of all other vehicle's electric aspects. But did you know that it only has two years of life approximately? Since during the unloading process and float charging, the battery's negative plate is sulphated fast, Reducing the functional capacity of the battery, until its complete inoperative. That's why we present the start-up Battery Pulse Protector. We offer you a fully automatic battery maintainer and protection system, it works 24 hours a day. Battery protector is not a battery charger. It is a patented electronic Sulfuric Crystal Cleaner which will eliminate the battery sulphation which is the main cause of problems and failures in lead acid start-up batteries. 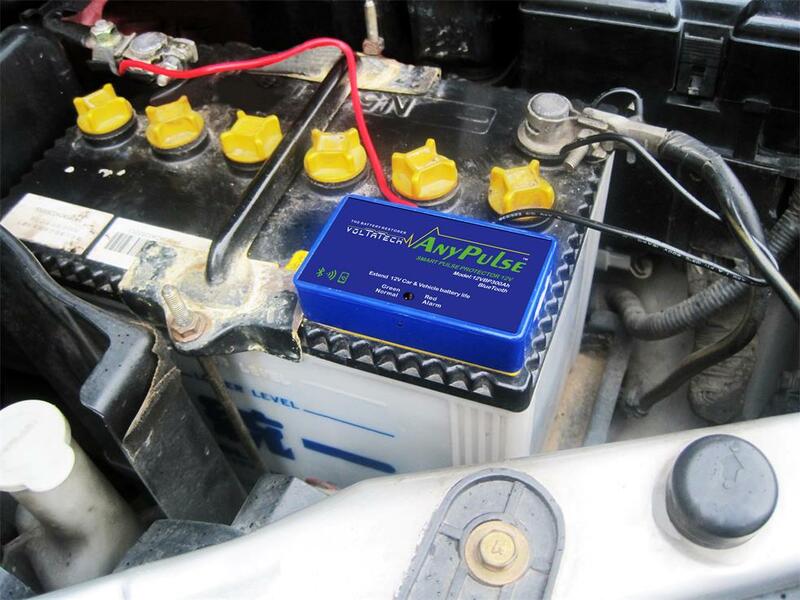 This battery pulse desulfator keeps the battery's condition as new, provides faster starts up your car or truck. Extends battery lifespan up to two or more times and reduce recharge time. Increase the capacity for your charge to last longer between recharges. Helps to protect the environments because it reduce the number of batteries that are discarded every year. How is it installed? Lugs connect directly to the battery terminals. Designed especially for frequently-charged 12-Volt battery systems, the 12V Battery smart pulse protector and pulse maintainer ensures maximum performance on both single 12-Volt lead-acid batteries as well as two or three 12-Volt batteries connected in parallel. The battery pulse protector is ideal for any kind of vehicle or UPS with a 12-Volt battery system that is charged on a regular basis, including cars,trucks, ships, emergency vehicles,military battery backup power and vehicles in sudden war,wind and solar power battery, motor, UPS.